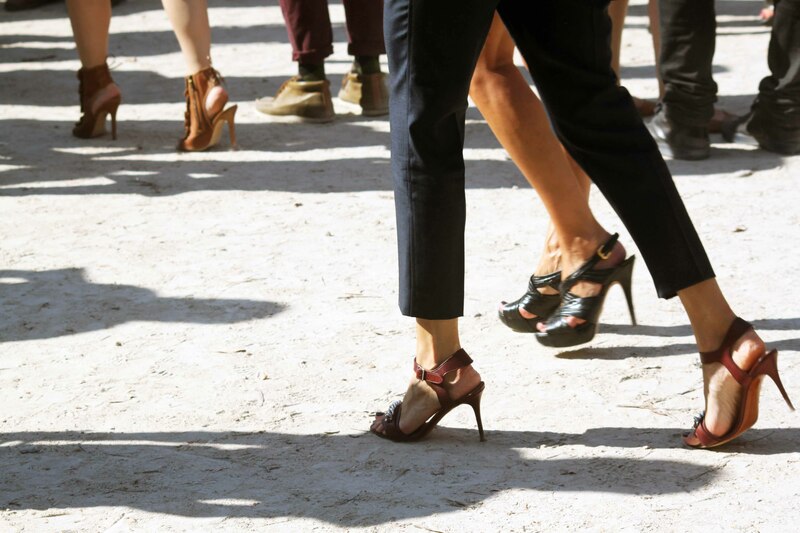 Here is a pure Paris fashion week moment. The arrival of Carine Rotfield to a fashion show, always impeccably dressed (Givenchy), with her care free hairstyle and personality that gives her that unique look. Rotfield the ex-editor in chief of French Vogue, close friend of Tom Ford and Mario Testino, Riccardo Tsici and many more, is one of the most respected and sought for “consultants” in fashion. Big brands, designers and even big business men like François Pinault consult her when they want to discuss strategy on the collections of the biggest brands in fashion. It is said tha Riccardo Tsci among many others put their collection to her approval. That is quite powerful.